This past weekend Dime a rising skateboarding brand out of Montreal Canada and legendary skate brand Vans collaborated for a release and very unique skating event. 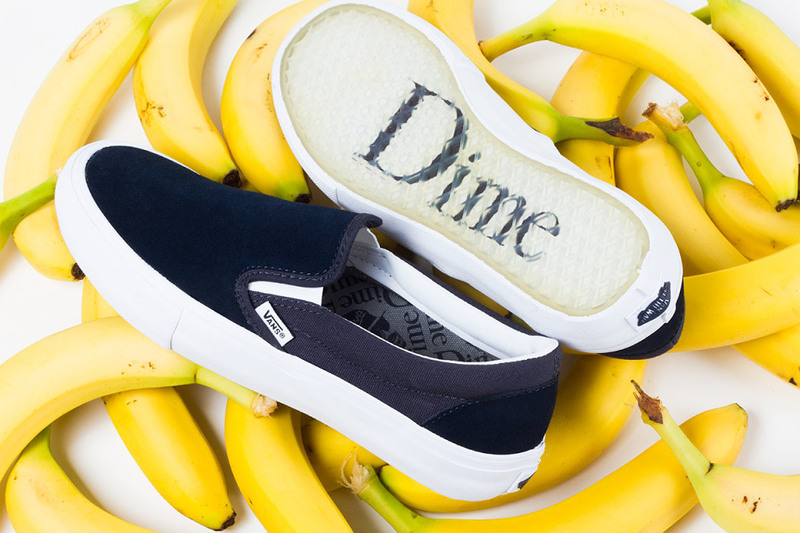 Dime released a new product collection of gear along with a collaborative shoe with vans. The shoe was a classic vans slip-on pro however contained some unique upgrades to the shoe such as Ultra Cush HD cushioning, DURACAP reinforcements, Pro Vulc Lite construction and of course the historic waffle outsole that Vans always provides. The shoe was released in-store on August 8th and will be released online August 15th. The ‘Dime Glory Challenge’ skating event however was very unique and far from your typical skating event. There were 10 very unique challenges just to name a few there was the “Gangster Challenge” where the skater was required to use their best looking stance upon rolling away from a flat edge, “Guillotine Challenge” where the skater rides up a kicker and reaches their highest jumping potential and my favorite the “Race Challenge” skaters race around the park down stairs stop to chug a beer and then put speed shades on and sprint to the finish line. Check out this unique event in the video below.